Boeing has been awarded a contract to build the US Navy MQ-25A Stingray carrier-borne unmanned tanker aircraft. The initial US$805m (A$1.1bn) contract will cover the design, development, fabrication, test and delivery of four MQ-25 Stingray air vehicles, including integration into the carrier air wing. The US Navy has a requirement for 72 MQ-25s in total, with the aim of an initial operational capability (IOC) by 2024. Boeing won the contract ahead of bids by Lockheed Martin and General Atomics (GA-ASI). 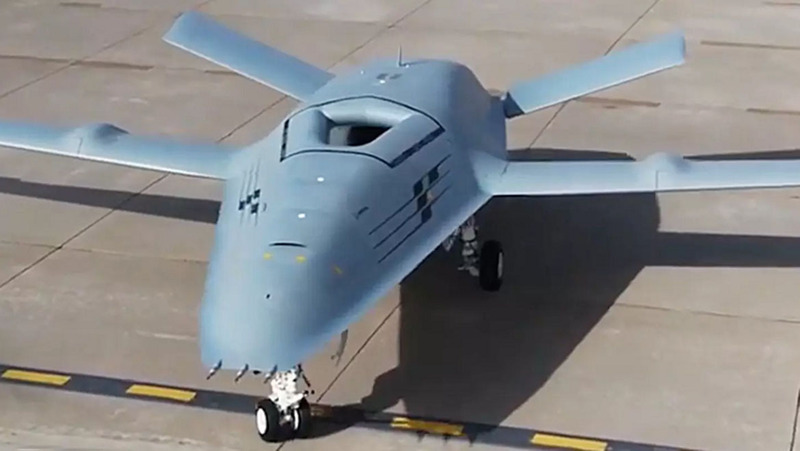 Some observers had predicted a win by General Atomics considering that company’s pedigree in building the Predator series of unmanned systems, while Lockheed Martin has also recently delivered several covert unmanned systems including the RQ-170 Sentinel. Boeing has built a concept demonstrator of its MQ-25, and has conducted deck handling trials on representative deck spaces in St Louis. General Atomics has conducted similar trials with an Avenger air vehicle. All three designs were required to offload fuel to receiver aircraft via an externally mounted Cobham pod with a hose and drogue. “As a company, we made an investment in both our team and in an unmanned aircraft system that meets the US Navy’s refuelling requirements,” president and CEO, Boeing Defense, Space & Security Leanne Caret said in a statement. Boeing’s design is a clean sheet design with an unconventional straight wing and V-tail. Lockheed Martin’s offering resembles a more familiar flying wing design, while General Atomics offered a development of its in-service Predator C/Avenger system. General Atomics had also teamed with Boeing for the carrier integration piece of its Avenger-based offering. Boeing had previously told media at an April briefing that the US Navy’s number one priority for the program was schedule, followed closely by price. VIDEO – a Boeing promotional video highlighting the capabilities of its MQ-25 bid. 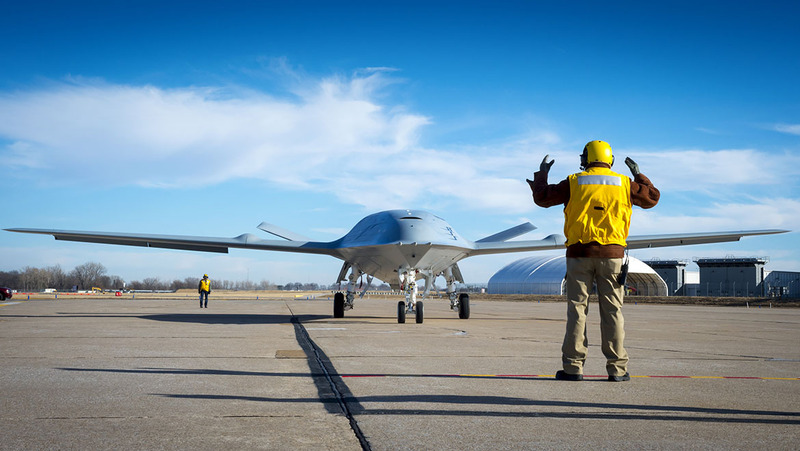 Northrop Grumman elected in October last year not to bid for MQ-25 despite having successfully trialled two X-47B unmanned aircraft aboard aircraft carriers between 2011 and 2015 through the US Navy’s UCLASS and UCAS-D/UCAS-N/J-UCAS programs. The MQ-25 tanker requirement evolved after the US Navy scaled back the originally envisaged strike and surveillance role of the program. The tanker will be able to offload 6,800kg of fuel at 500nm range from the carrier to extend its combat radius to a carrier strike group. Alternatively, the MQ-25 will orbit near a carrier to provide fuel to returning aircraft. The ‘MQ’ designation of the system suggests the US Navy has plans to evolve the capability as it becomes more familiar with operating unmanned systems and, to this end, it is likely Boeing has built growth capability into its offering. Lockheed Martin had showed its concept operating as intelligence, surveillance and response (ISR) and strike platforms in its concept artwork, while the General Atomics Avenger already has an ISR and strike capability.